From Nichols College Dean of Students P.J. 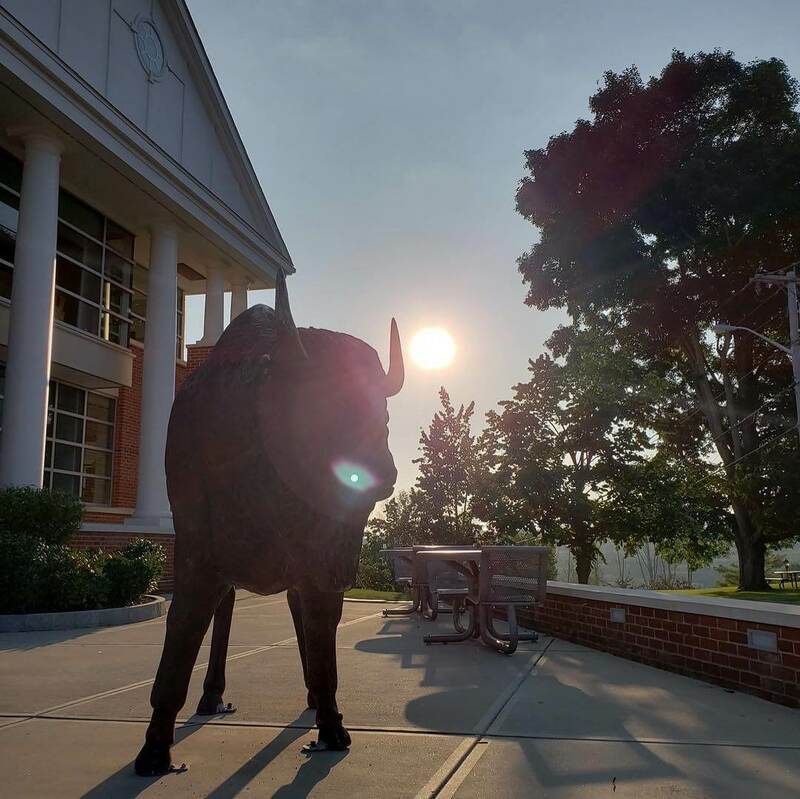 Boggio: “Thunder, the Bison statue on the sidewalk outside of Fels [Student Center at the corner of Center and Healey roads] is no longer standing at his post. [Monday morning, Feb. 4, 2019], following a careful inspection we determined that the extent of the damage done to Thunder had compromised the structural integrity of the statue and therefore could be a safety risk for the community. As soon as we are able, we will have a professional do a further inspection and help determine if he can be repaired or not. Campus Life, Faculty, Newsroom, Staff, Students Bison, mascot, New England Patriots, Patriots, Students, Super Bowl, Thunder. permalink.